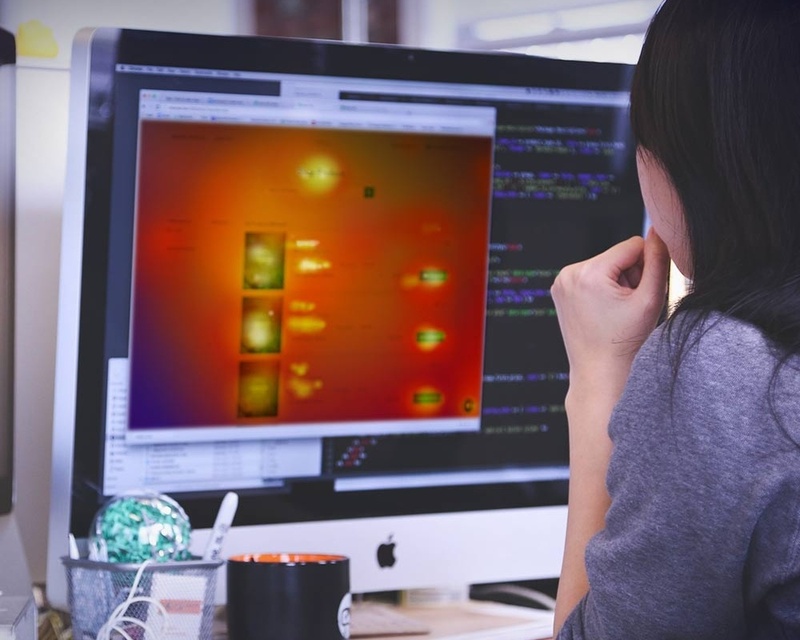 Heat mapping is a technology that allows us to test the usability of any website. Basic analytics show us just the very simple information: what pages people are going to, how long they are spending on your site, and what the bounce rate is. This gives us a great starting point to see what the users are doing. heat mapping technology amps up our analytics and informs us of advanced details on how visitors are interacting with each page and allows us to address the why. This post will go into the details of what heat mapping can tell us that basic analytics don’t. First, it’s important to remember that every website should be deep rooted in strategy. The objectives and goals should be clearly defined in the Web Design process. This allows you to test and optimize your design based on the metrics that best define success for your business. When designing websites, we do our very best to ensure a great user experience. We want visitors to come to our site and take action they are looking to achieve. In order to measure what actions people are taking on your website, we have to look at some specific actions that we don’t get from basic analytics. Clicks and Interactions. In modern web design, you will see lots of arrows and buttons. As people who build websites, it is our job to provide the right amount of information along with a clear next step, like ‘contact us today’, ‘see more work’, or ‘follow us on social’. We also utilize not only vertical scrolling, but horizontal slider with arrows so you can showcase additional information. heat mapping technology allows us to see every place a user clicks or interacts (arrows, buttons, images, or navigation) on a page. Seeing this data gives us the information to see how visitors are really using your website. Scroll-map. The length of a page is very important. It is our goal to provide just the right amount of information that a visitor wants to read to get them to take the next step. Scroll-mapping allows us to see how far down the page visitors are getting to. Many users will read the headline, and a few words of copy, but rarely does a user read the whole page. It’s important to give your message in a succinct manner that still gives the visitor all of the information that will get them to take the action we want. Also, if your call-to-action is at the button of the page, we can see that X% of visitors are not making to the bottom of the page, so we may need to move the call-to-action in a place that more visitors see. Mobile vs. Desktop. Each website that we create has a responsive design, this ensure that no matter the device, that users on smartphones, tablets, or desktop will have a great experience. However, it poses a challenge because a device is an important part of the context of the user. Someone on a smartphone is naturally going to use the website differently with their finger than a user on a desktop using the website with a mouse. It’s important to ensure that no matter the device, that users are finding the information that they need. Day of the week. Time and day matters and is a big part of web design. The websites that you look at on Tuesday at 11 AM, probably geared around your business, are different than the website you are looking at Saturday at 3 PM, where you might be on an ecommerce site seeking a new pair of shoes. The actions that you take on Tuesday are different than what you’re looking to accomplish over the weekend. User experience is about understanding the context of the visitor and building around their environment, device, and what information they’re seeking. heat mapping technology provides us with a lot of information. It’s always important to test and optimize your site and heat mapping is a great tool to ensure that you have a great experience experience for your website visitors. heat mapping provides a lot of data and it’s important to analyze and optimize based on the objectives of your website.